As 2017 wraps up, there are a few books that I've ordered/pre-ordered and hope to read in the next month or so. While they are all only tangentially related to the Josef Jakobs story, I've long since discovered that tangential stories are often a great source of information! I came across this book and, while the cover looks a bit hokey, the book would seem to touch on a great topic. Did Germany send any spies over to Canada during World War 2? Who trained them? Was it our friends at the Hamburg Abwehr Stelle? How did the spies make out? Were they captured shortly after landing, as was the case in England? 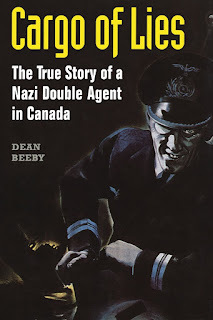 The write-up on Amazon indicates that there was at least one German agent who made it onto the shores of Canada, but who was captured shortly after landing. The Royal Canadian Mounted Police convinced the agent to become a double agent but... it would seem that the agent may have played them and become a triple agent! Intriguing!! "A classic espionage story that is well-told and interesting. 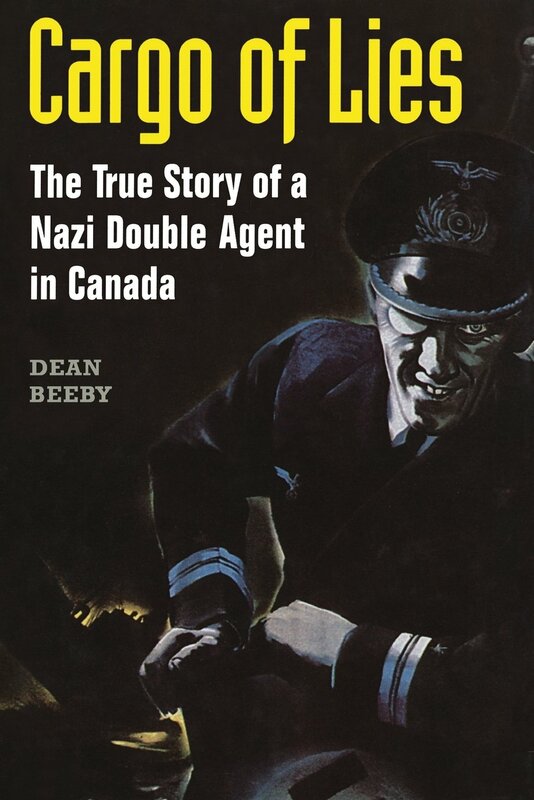 It's a story set in Canada but it's interesting to anyone who enjoys reading about spies or the Second World War. Beeby has found the mystery in this previously poorly-told story and leaves readers wondering if the spy completed his mission after all." Sound interesting and I've ordered it through the local library which actually has a copy! Helps that it's a Canadian story told by a Canadian author. This book looks intriguing. 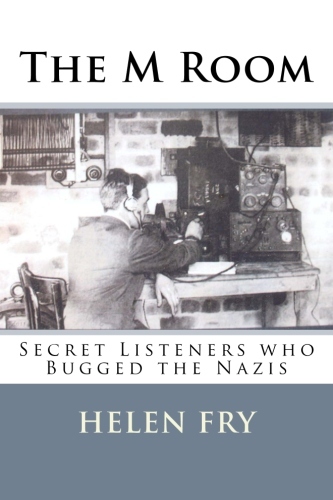 It tells the story of German-speaking refugees who were recruited as translators to secretly monitor the conversations of German prisoners-of-wars.... and captive spies. Camp 020, MI5's secret interrogation centre at Ham Common used microphones extensively when they placed people like Josef Jakobs and Karel Richter together in a room. The book has fairly good reviews on Amazon and while it looks like it focuses on the Trent Park Interrogation Centre (North London), I'm thinking it might have links to Camp 020. It is also interesting to learn that thousands of transcripts from Trent Park were declassified in 2004. Makes me wonder if the Camp 020 transcripts are still hiding in a classified archive somewhere in England. "Helen Fry's extraordinary original research uncovers the grim picture of prisoners' daily lives and of systemic Soviet-style mistreatment. The author also provides sensational evidence to counter official denials concerning the use of "truth drugs" and "enhanced interrogation" techniques. 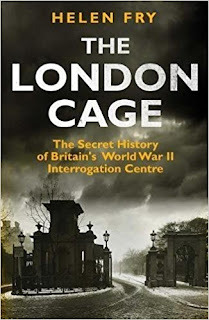 Bringing dark secrets to light, this groundbreaking book at last provides an objective and complete history of the London Cage." It has good reviews on Amazon and I've ordered a copy which I hope will arrive before the end of the year. While this book has been released in Australia, the UK and the USA... it's release date in Canada is only January 19. I've pre-ordered a copy and will have to be patient. The author is Walter Dickett's (Double Agent CELERY) granddaughter which makes this book different from so many others written by researchers unrelated to their subject matter. 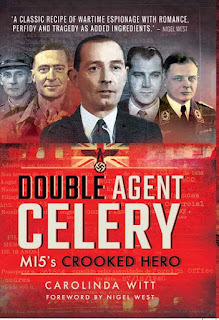 CELERY was involved with Double Agent SNOW and while several books have been written about SNOW, none have touched on the CELERY story. So it's nice that some of these lesser-known characters of history are being brought into the spotlight. "This is a truly extraordinary tale. 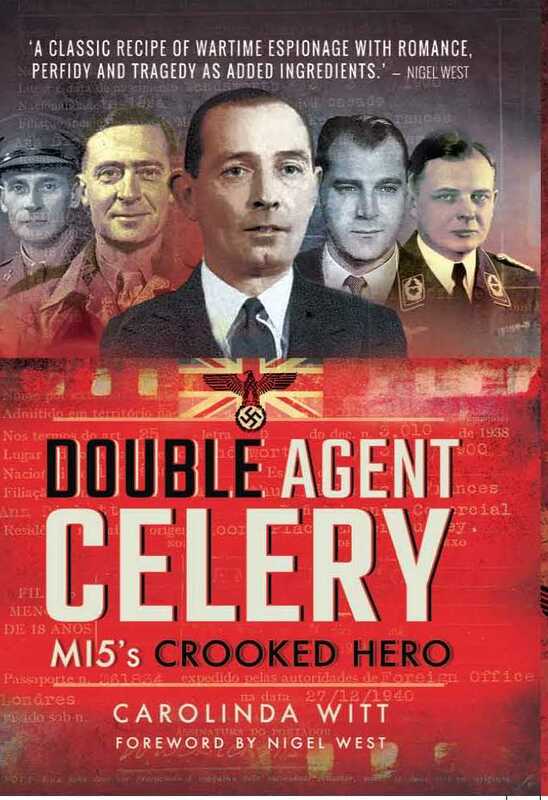 A fascinating insight into the world of double agents and the crucial role Agent Celery played in altering the course of World War II. At the same time it records a deeply personal quest by the author to unravel a complex family mystery that had haunted her family for generations." And so... we wait... I'll be posting book reviews in the new year.